When you sign up for a Greater Midland membership get HALF-OFF the JOINING FEE and receive a $20 GIFT CARD to Whiting Forest of Dow Gardens! 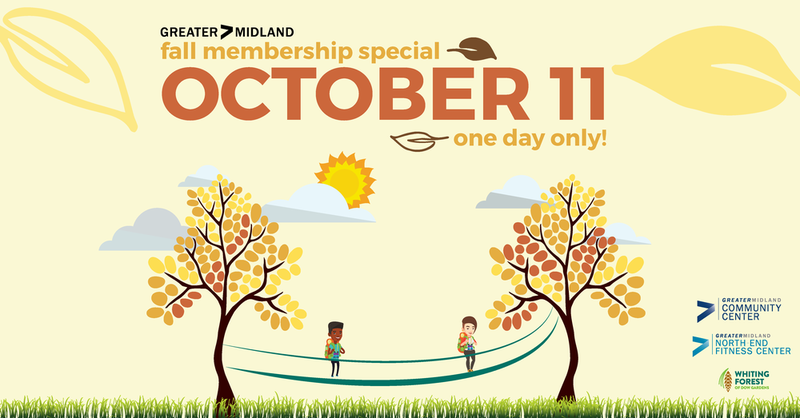 Membership special good at the Community Center and North-End Fitness Center. The Whiting Forest Canopy Walk opens October 7! CLICK HERE for a sneak peek!